Some rules have flexibility and lighter consequences for breaking them. Other rules don?t have flexibility and come with harsher consequences for breaking them. 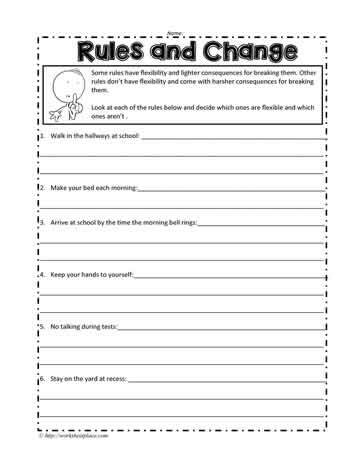 Look at each of the rules below and decide which ones are flexible and which ones aren?t . Explain your thinking by giving reasons for deciding why or why each of the rules flexible and have room for change or not.